Denise Olrich is an experienced business attorney representing clients throughout the San Francisco Bay Area and around the world. 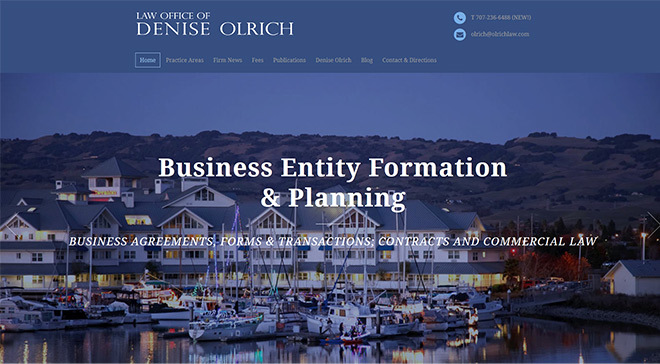 The Law Office of Denise Olrich is located in Petaluma and represents established businesses, start ups and entrepreneurs. Ms. Olrich handles all of your business law needs, including business planning and formation, purchase and sale of businesses, (including franchise opportunities), business contracts, employment matters, trademark and intellectual property, E-commerce, privacy law and dispute resolution matters in Northern California for over 30 years. Ms. Olrich currently serves as general and corporate counsel to many businesses. She represents all types of businesses, as well as professionals and business executives. Ms. Olrich handles all aspects of business formation, including corporations, partnerships, limited liability companies, limited partnerships and limited liability limited partnerships. 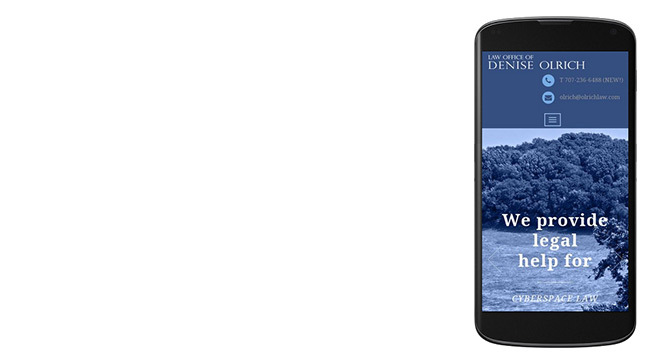 Denise’s practice focuses on representation of business owners and entrepreneurs. She drafts and reviews all types of contracts and business forms, lease agreements, employment and contractor agreements, and purchase and sale of business agreements.